An SSL Certificate is nowadays a must for any respected online store. SSLs are traditionally used on pages where users sign in to a backend area. Google has also openly admitted its preference for sites whose traffic is redirected to HTTPS. 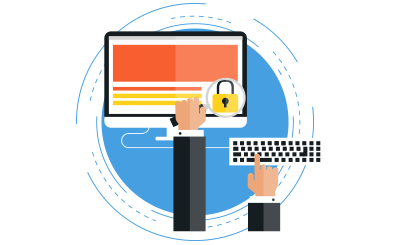 At Easy Host Way, you can easily buy an affordable SSL Certificate with strong encryption together with a 30-day money-back warranty. We will also re-issue the SSL completely free, if required. It would take all the money on earth to build a device which can efficiently crack 256-bit encryption. Literally. With the 30-day MBG, one can try our SSLs and request a refund if not satisfied. In case you need help using our SSL services, get in touch with our technical support crew. It is there for you 24-7. The ideal solution for a simple website such as a blog or a portfolio. Best suited for anyone who wants to create a popular e-shop. A reasonably priced web hosting package, perfect for a business site or an e-shop.